Similar with Malaysia, should the Thai government handle this carefully by considering all the potential threats to local business spanned across various industries? This article is written by Pawoot Pongvitayapanu, translated by Nicha Kuadkaew, edited by ecInsider, read the original article in Thai here. It was just months ago when Alibaba's biggest e-commerce competitor in China, JD.com said it will form a USD500 million joint venture with top Thai retailer Central Group. 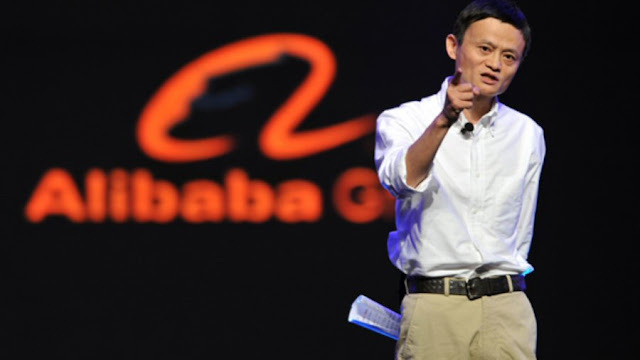 Last month, it was Alibaba's turn to officially make its move in Thailand. While Alibaba is investing USD320 million in Thailand's "digital hub" located in the Eastern Economic Corridor (EEC), you might wonder how much did Alibaba invest in Malaysia's version of DFTZ earlier, if any? With this fund in Thailand, Alibaba will develop an online trading infrastructure, and extend it to CLMV (Cambodia, Laos, Myanmar, Vietnam) in the future. On paper, it seems like a positive development for local entrepreneurs and businesses, but don't get too excited yet! Similar to DFTZ in Malaysia, the E-Commerce Park in EEC is portrayed as a "connecting bridge to China". If you look at the bright side, local products can be exported easily to a huge market like China. If you look at the potential threat, a huge volume of made-in-China products will flow into Thailand easily too. In fact, this is already happening to a certain extent especially via Lazada, with many direct-from-China items being priced cheaper than products sold by local merchants. It is important to note that with or without EEC or DFTZ, products are already coming in from China while Alibaba's ambition is to deliver worldwide within 72 hours. In this scenario, the manufacturers in China are able to sell directly to consumers without the middlemen or agents. Therefore, local traders who are importing goods from China will be hugely impacted soon, if not now. Fighting against competitively-priced products, even local SMEs or manufacturers who are producing products similar to what China is offering will be disrupted too. With local businesses struggling, this will definitely affect employment rate and the country's economy in the long run. Therefore, local e-commerce entrepreneurs, merchants, traders need to pivot now, or face death. This is already happening as online shopping penetration has grown steadily in recent years, the "China bridge" spearheaded by Alibaba will only speed things up and intensify the competition. With online space flooded by Chinese products, it is not only more convenient but also cheaper than buying from the shopping malls or even flea markets. Local retailers who are selling products like cosmetics, mobile, computers, appliances, fashion will be impacted first as these are the popular products bought online. 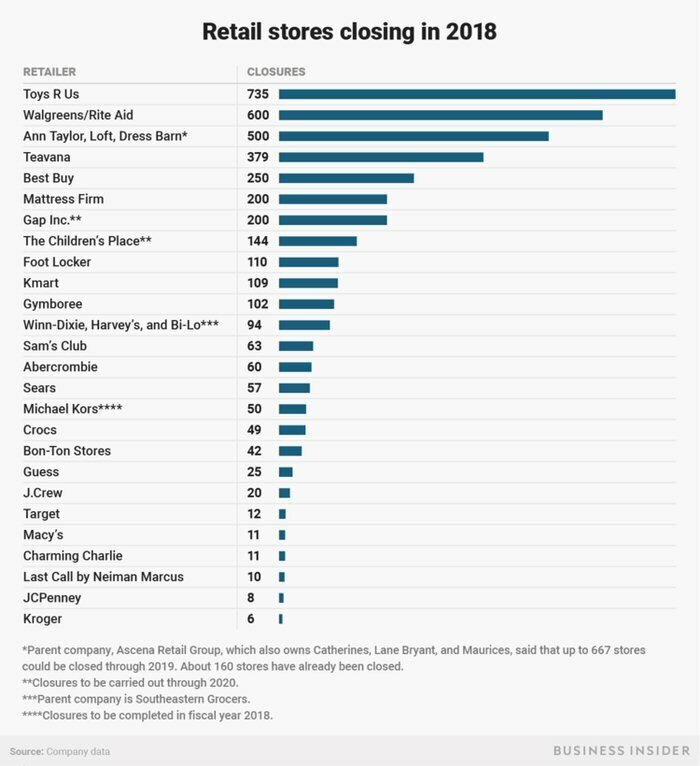 You have probably read how Amazon disrupts the retail industry in the United States, and this will happen to Thailand and Malaysia too in the next few years. Just like local e-commerce merchants and SMEs, retailers don't have the luxury of sitting comfortably by doing business the old way. Read also: What is the volume of China's direct imports to Malaysia via e-commerce? In most Southeast Asia countries including Thailand and Malaysia, the "big 2" e-commerce players or to be exact, e-commerce marketplaces are taking shape. Depending on how you see it, this is a monopoly or duopoly, with the top 2 foreign-owned companies (mostly China-backed) leaving no room for other players. Obviously, Alibaba is in the game via Lazada, the e-marketplace leader in most countries here. It is not just e-marketplace as Alibaba is now investing heavily in infrastructure via EEC: logistics, warehouse, fulfillment - the backbone of e-commerce operation. Alibaba is building its spider web in Southeast Asia, with the population, history and geographical factors considered this is a sensible global expansion strategy. It is not just retail and shopping, as other industries especially financial service and logistics providers will be disrupted too. This is already happening in China with Alipay disrupted the bank industry there. With huge transactions going through the platform, big data generated will help e-commerce players like Alibaba to target and offer financial products to consumers more accurately and effectively compared to traditional banks or financial institutions. This is the reason why Bank of Thailand allows Thai Commercial Bank to set up its e-marketplace business as Chinese players will be expanding here soon by offering one-stop service. Besides that, Alibaba's logistics subsidiary - Cainiao will expand to Thailand too so the alarm is triggered for local logistics players, particularly Thai Post. If Alibaba's ecosystem plan works out accordingly, this will be a domino effect spanned across various industries, related directly or indirectly with e-commerce. 1. eCommerce industry in Thailand will grow at a faster rate. 2. The huge value of foreign investment in Thailand. 3. Thailand will be the hub of products distribution for CLMV. 4. Opportunity for Thai goods to expand to China. 5. Training and development for Thai entrepreneurs and SMEs. 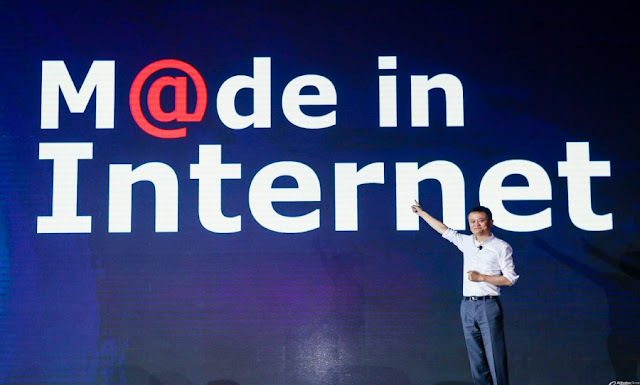 Jack Ma is trying to coin the phrase "Made in Internet" as consumers are buying products via the Internet. In fact, the majority of the products available via sites owned by Alibaba are "Made in China", the products are just flowing out from the country via the Internet. It is a smart move to position Alibaba on a more neutral ground globally and minimize the general perceptions of "Made in China" being an inferior product. Make no mistake, China does produce some of the highest quality products in the world. Japanese investors are here way earlier, investing in manufacturing, building factories, increasing employment rate and exporting products from Thailand. Therefore, Thailand gains a lot of benefits from most Japanese investments. In contrary, Chinese or to be precise Alibaba's investment focus on building infrastructures like logistics and warehouse. The ultimate goal is to build a "carriage" for goods to travel from China to Thailand effectively. Instead of investing in factories and hiring workers, China is the obvious winner by gaining long-term benefits in such investment model. In conclusion, both countries invest with a different objective in mind, and you can judge by yourself the benefits gained by Thailand and its people. It is understandable for the Thai government to welcome foreign investment, including the one from Alibaba. Benefits like to enable the export of Thai products to China, to facilitate the entrepreneurship development program are highlighted. However, this is just one side of the story. The reality is Jack Ma and Alibaba intends to facilitate and optimize the export of Chinese products to the world, including Thailand. Bear in mind that this article is not to go against Alibaba, but to reveal the other side of the story on the potential impact and threats to local businesses. We should study the estimated number of Chinese goods flowing into Thailand via e-commerce, and what is the impact, who will be affected? Read here for the estimated volume of direct imports from China to Malaysia via e-commerce. The government, agencies, associations, corporates should work closely together to pre-amp and prepare our local businesses to be ready for the imminent Alibaba storm. At the very least, they wouldn't die without knowing what hit them. ecInsider: Does Alibaba's investment in Thailand spell doom for local business?